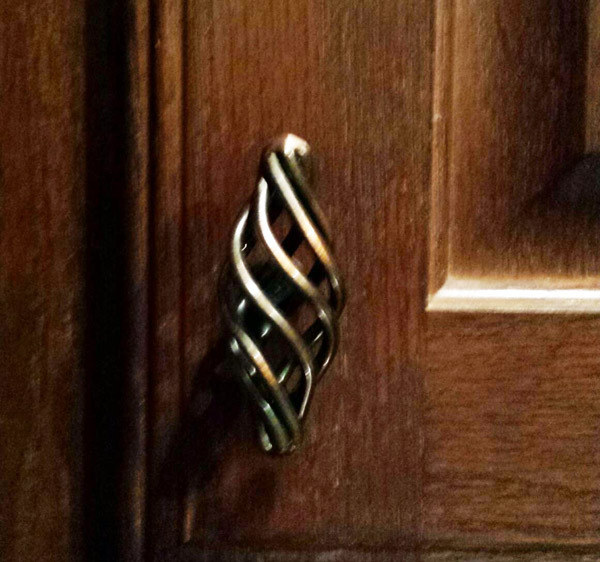 My friend was amazed that I noticed her new kitchen cabinet knobs last week. 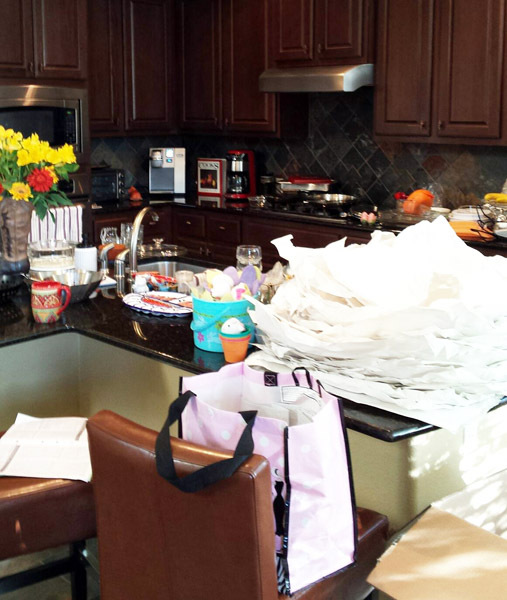 She’s just now moving and I dropped in on her unannounced and her kitchen looked, well, like someone in the middle of a move. 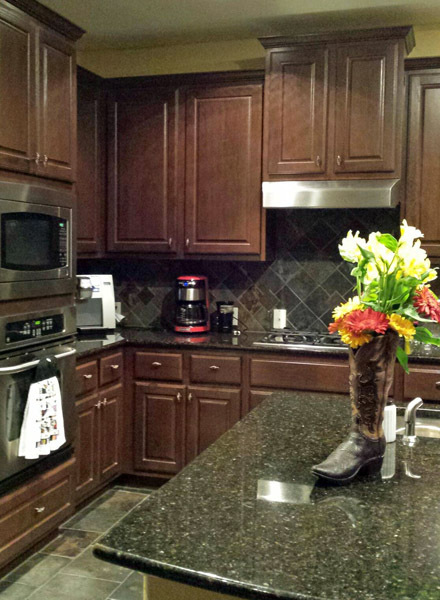 Somehow, I managed to see beyond the clutter and I noticed her new knobs. Maybe it really isn’t terribly odd; having recently moved, I am not distracted by empty boxes and clutter, and I have been in her kitchen several times so I was familiar with it and the knobs simply hadn’t been there before. How could I not see them? This is how I want to train my eye when it comes to the things of God. Just like I know my friend’s kitchen, I want to know the Bible so thoroughly that when I hear something false, (something added, or omitted) that I see it immediately. And, I want to develop a deeper understanding of the character and attributes of God so that when I hear anything that is not true about God I am immediately offended for his Name. I’m sure you do, too. This requires a lot of hard work. It means we must read the Bible, every word, often. We should read it through at least once every year, in different versions and translations. We should read it in a variety of ways: chronologically, or from Genesis to Revelation, or the Old and New Testaments simultaneously. Not only should we read the Bible, we should study it, digging deep into God’s Word. We must diligently study the Bible because that is where God has completely and thoroughly revealed himself to us. We must be acutely involved with God’s Word, we must know it, understand it, contend for it, and memorize it. These pages of recorded words are the very words of God, breathed by God, protected by God, and used by God to reveal himself, transform us and complete his purpose in each one of us. Every word is precious. We cannot assume that whatever anyone teaches us about God is true simply because they have a title of missionary, teacher, pastor, priest, bishop, or elder. Our eternal destiny is at stake. There is only one truth, and it is in the Bible. It is our own individual responsibility to see to it that we are not led by lies into deception. We will stand alone when we stand before God on judgment day. We will be held accountable for what we’ve chosen to believe and to whom we’ve chosen to listen. Are you enticed by a fresh new idea of Jesus? Of God? Of the Holy Spirit? Of salvation? Have you run your thoughts through the grid of the Bible? There are no new knobs; there are no new revelations of God. We must closely study the attributes of God, with a dictionary in one hand and a concordance in the other. We must dig deep into the doctrines until we understand them so clearly that we can explain them to a child. And we must ask God to lead us into truth (being open to embrace His truth) as He protects us from the deception and lies of the evil one. Will you search the Bible to discover for yourself if the doctrines your church embraces are in there? If they are not, will you ask the senior leader of your church to explain the doctrine to you using only the Bible. I know, your pastor is busy and you’re afraid you might be considered a pest, but this is about life or death… Yours! If the doctrines are truth, they will be in the Bible — and it is your pastor’s pleasure and responsibility to teach you. Will you commit to read and study the Bible so that you are familiar with the truth of God’s word? Will you commit to align your heart, your mind and your life to the Bible, God’s sole and inerrant word? Will you commit to contend for the Gospel as revealed in God’s word? As you read, you will grow. I am striving for the same thing, Marcia, and all of us have to really focus…might say put blinders on, so we are not distracted.